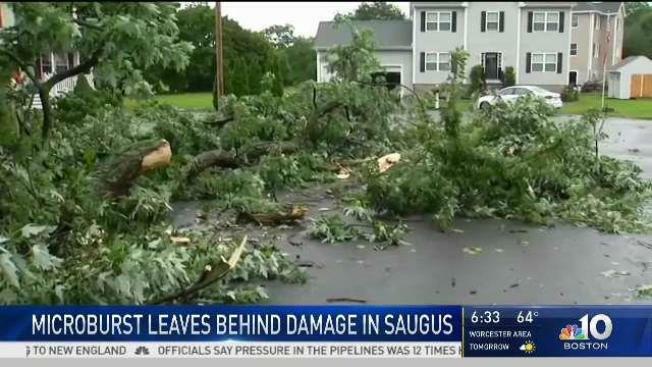 Saugus, Massachusetts residents are cleaning up the mess left by a microburst that wreaked havoc in the town. 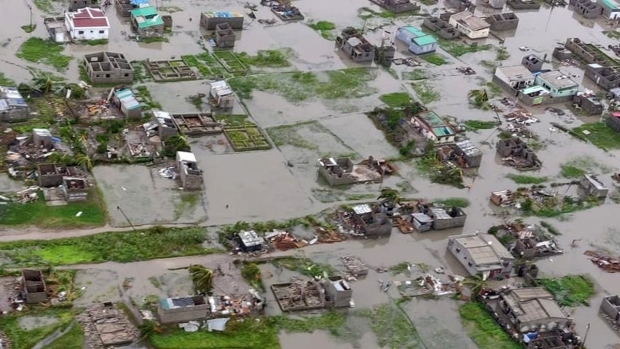 Tuesday's storm stemmed from Hurricane Florence as its remnants moved north and slammed New England. While power was restored to the town, homeowners were left to clean up the debris. "Outside of the cemetery, which is wide open, we haven’t seen any real trees knocked down yet," Alan Dunham of the National Weather Service said. "It's mostly the big branches that are high up in the trees that are coming down." Fallen branches remain scattered throughout the town overnight, where residents are thankful that at least the burst was not a tornado. The damage was concentrated to Riverside Cemetery eastward to Stocker Playground and Lincoln Avenue. The microburst’s path was about a mile long, with winds reaching about 75 mph. "The windows were actually blowing in and the water was coming through the windows even though they were closed," Saugus resident Louis Ferreira said.